These one-percenters really made the most of their youth. A roll call of billionaires under 35 complied by Wealth-X is dominated by male "technopreneurs" and features more than one college dropout. 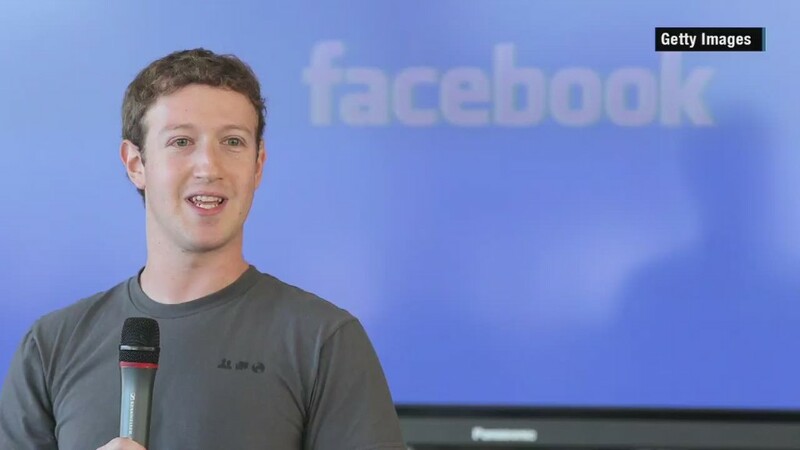 A familiar face takes the top spot: Facebook's (FB) Mark Zuckerberg, whose $41.6 billion net worth far outstrips the rest on the list. The social networking site helped create massive fortunes for two others in the top five, Dustin Moskovitz and Eduardo Saverin. The pair, worth $9.3 billion and $5.3 billion respectively, co-founded Facebook with Zuckerberg, before pursuing other tech ventures. 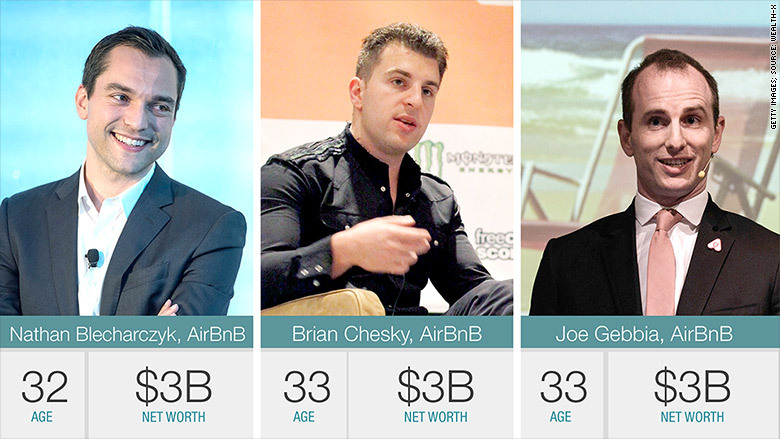 The smash success of Airbnb puts three names on the list. Co-founders Nathan Blecharczyk, Brian Chesky, and Joe Gebbia each boast personal fortunes of about $3 billion thanks to the short-term apartment rentals site. The company, created in 2008, challenges the traditional hotel market and now operates in more than 34,000 cities around the world. Women claim two places among the top 10, led by Chinese real estate heiress Yang Huiyan at no. 3 with a net worth of $5.9 billion. 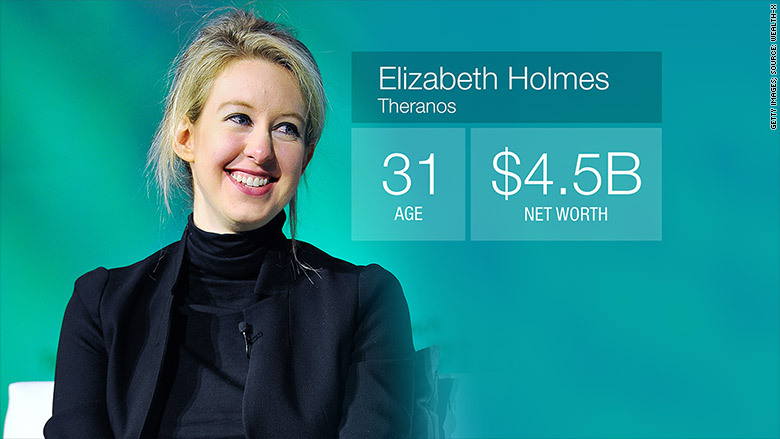 America's youngest self-made female billionaire, 31-year old Elizabeth Holmes, generated her $4.5 billion fortune through biotech Theranos. And she didn't even need a college degree. Holmes left Stanford University at 19 with a plan to start her own company. Theranos, founded in 2003, has taken on the massive laboratory-diagnostic industry by performing fast and less invasive blood tests, and has the potential to change health care for millions of Americans. Like Holmes, most on the list were self-made. The U.S. produced the bulk of young billionaires, with China, Brazil and Sweden rounding out the top 10. 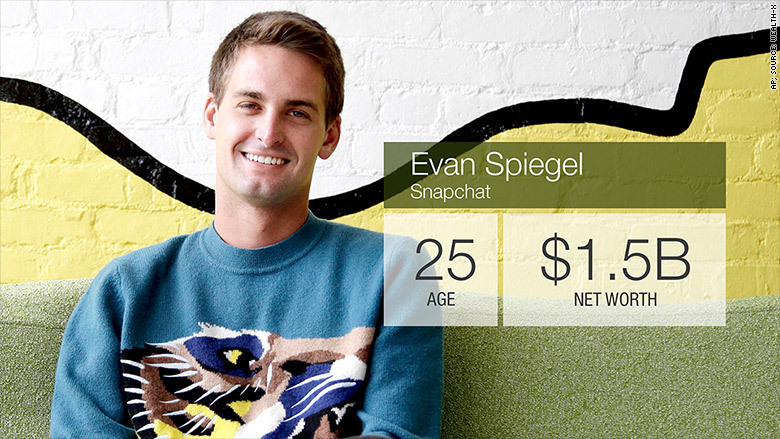 One more notable mention: Snapchat co-creator Evan Spiegel. At just 25 years of age he's the youngest person in the top 20, ranking 15th place with a $1.9 billion fortune. His popular messaging app has been preparing for an IPO after it rejected a $3 billion acquisition offer from Facebook in 2013.